Google Cloud Print is a new technology that connects printers to the internet. 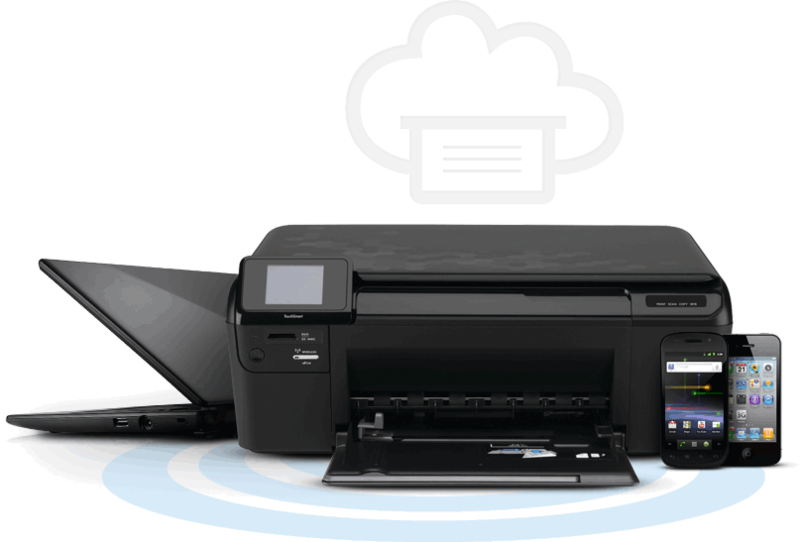 Using Google Cloud Print, one can make your home and work printers available to them. 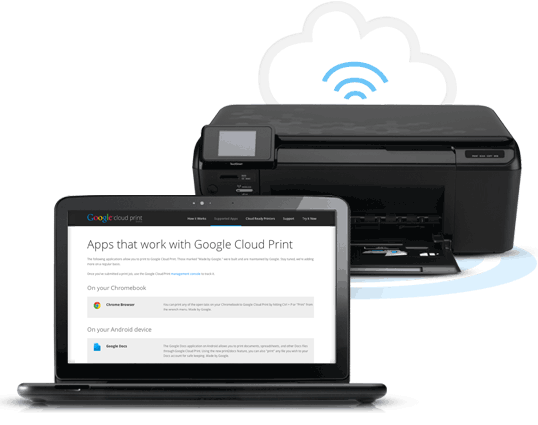 Google Cloud Print works on your phone, tablet, PC, and any other web-connected device you want to print from. . Google Cloud Print makes life easier for both system administrators and users. In Google Chrome OS, all applications are web apps. Therefore, in designing the printing experience for Google Chrome OS.. Additionally, with the proliferation of web-connected mobile devices such as those running Google Chrome OS and other mobile operating systems, it is not feasible to build and maintain complex print subsystems and print drivers for each platform.Apps no longer rely on the local operating system (and drivers) to print. Instead, apps (whether they be a native desktop/mobile app or a web app) use Google Cloud Print to submit and manage print jobs. Google Cloud Print is then responsible for sending the print job to the appropriate printer, with the particular options the user selected, and providing job status to the app. Replicating the complex printing architectures of traditional PC operating systems on these new class of devices is not desirable and often not feasible.This is accomplished through the use of a cloud print service. Apps no longer rely on the local operating system (and drivers) to print. Instead, as shown in the diagram below, apps (whether they be a native desktop/mobile app or a web app) use GCP to submit and manage print jobs. Any type of application can use Google Cloud Print, including web apps (such as Gmail and certain third-party apps) and native apps (such as a desktop word processor or an Android/iOS device). These apps call Google Cloud Print APIs. They can use these APIs to collect the necessary data to show their own user interface for custom print options or simply use the common print dialog that Google Cloud Print provides. Third-party app developers can use Google Cloud Print in their web, desktop, and mobile apps as well. Google Cloud Print is a web service offered by Google. Users associate printers with their Google Account. Printers are treated in much the same way as documents are in Google Docs: it is very easy to share printers with your coworkers, friends, and family anywhere in the world. No need for complex network setups to make print sharing work! Once the service receives a print job, it sends it to the printer. The service also receives regular updates on the status of the print job from the printer and makes this status available to the app. Google Cloud Print disambiguates between two types of printers: Cloud Ready and non-cloud printers. Cloud Ready printers are a new generation of printers with native support for connecting to cloud print services. A Cloud Ready printer has no need for a PC connection of any kind or for a print driver. The printer is simply registered with one or more cloud print services and awaits print jobs. Cloud printing has tremendous benefits for end users and for the industry, and will increasingly come to be expected from users given the rapid shift to cloud-based apps and data storage, and to mobile computing. The only way that the benefits of cloud printing can be realized is if the protocols are open, freely implementable, and based on existing industry standards. Most printers in existence today fall into this category. This category includes printers connected directly to PCs as well as networked printers (Ethernet or WiFi). This category also includes the recent crop of “web-connected” printers that provide users with access to certain web services directly from the on-printer LCD. While these are “web connected,” they are not Cloud Ready printers as described above, because they do not have the ability to directly communicate with a cloud print service to fetch print jobs. We want users to be able to print to non-cloud printers via Google Cloud Print. This is accomplished through the use of a connector, a small piece of software that runs on a PC where the printer is installed. The connector takes care of registering the printer with Google Cloud Print and waiting for print jobs from the service. When a job arrives, the connector submits it to the printer using the PC operating system’s native printer software, and sends job statuses back to the service. Thus far, developed a connector for Mac and Windows and are currently developing one for Linux. To help users avoid the trouble of having to install yet another piece of software on their PCs, these connectors are distributed with Google Chrome. When users print from a web app that directly integrates with Google Cloud Print, then the print operation is standalone and does not involve Chrome OS. 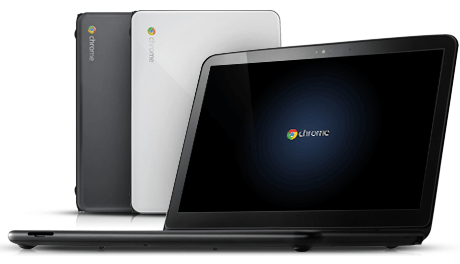 When users print a web page which is not directly integrated with Google Cloud Print the app responsible for printing is the Google Chrome browser on Chrome OS. Here, Google Chrome on Chrome OS is a native app that uses Google Cloud Print and the common print dialog. The content to be printed is uploaded to the Google Cloud Print service along with the job ticket information and then sent to the selected printer. The only problem is that no printer supports Google Cloud Print and that’s why Google revealed some details about the service’s interfaces, hoping that printer manufacturers will update their software and support it. If a printer doesn’t support Google’s service, you’ll need a proxy software for the computer where the printer is installed. Google says that the proxy software will be bundled with Google Chrome. It may seem that Google’s solution is complicated and difficult to implement: we need an open standard for cloud printing, cloud-aware printers and users need to associate printers with an online service. Instead of sending the printing job directly to the printer, you’ll send it to the online service, which forwards it to the printer. Despite all these hurdles, Google Cloud Print allows you to print documents from a mobile phone, tablet, notebook or any other mobile device. You’ll be able to print files from an Android phone or tablet, from a Chrome OS computer, from any computer that runs Google Chrome and from other devices that will support Google Cloud Print. When you print through Google Cloud Print, your file is securely sent to your printer over the web. Because it’s the web, Google Cloud Print works whether you’re in the same room as your printer, or on another continent. It also doesn’t matter whether you’re on a phone, a traditional desktop, or anything in between (like a tablet). Google Cloud Print allows you to share printers with friends, family, or coworkers as easily as you would share a Google Doc file – perfect for visiting guests looking to print a flight boarding pass. 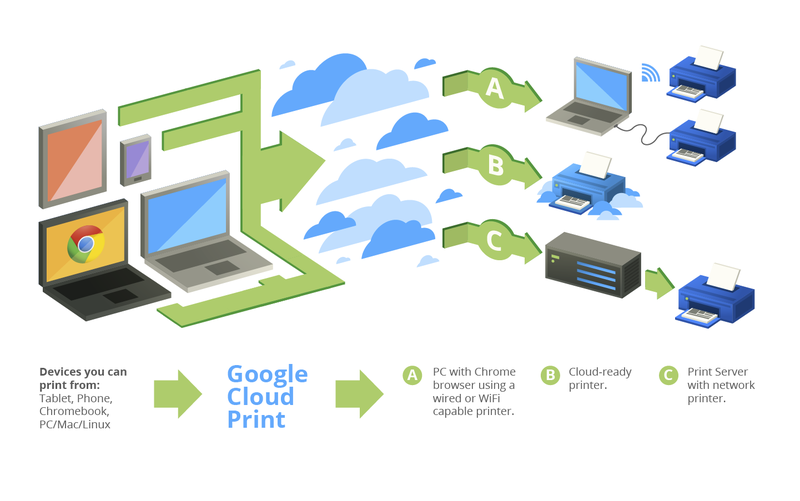 Google Cloud Print is the standard printing technology used by ChromeOS on Chromebooks. Your Chromebook and the web live hand in hand and, for that reason, it didn’t feel right tying you down with local printer software. The following applications allow you to print to Google Cloud Print. You can print any of the open tabs on Chrome to Google Cloud Print by hitting Ctrl + P or “Print” from the wrench menu and selecting “Print with Google Cloud Print” from the destination dropdown. On the Chromebook, Cloud Print is the default print option. Made by Google. Cloud Print is an Android application that allows you to print files off of your Android device, including emails and attachments, text messages, contacts, web pages, documents, and more. Cloud Printer is an add-on to the Mozilla Firefox mobile browser. Easy Print is an Android application that allows you to manage your printers and print jobs, and print documents and emails. Wireless mobile printing app for your Email, Microsoft® Office docs, PDF files, Photos, Web pages and more. Print from Google Cloud Print to a range of Wi-Fi enabled laser printers/MFPs. PrintCentral Pro is an iOS application that allows you to print to a number of services, including Google Cloud Print. If you access Gmail or Google Docs through your phone’s browser, you can print any email, document, spreadsheet, or other Docs file through Google Cloud Print. 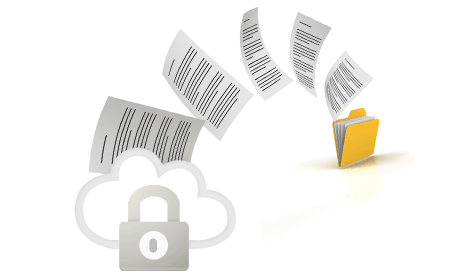 Using the new print2docs feature, you can also “print” any file you wish to your Docs account for safe keeping. On any web page, if you see a “Print” button with the Google Cloud Print logo, you can print without leaving your browser. Send emails and attachments to your KODAK all-in-one printer from anywhere, using any email capable, web connected device. Cloud Printer allows you to print from any application on your Mac (Leopard and up), through the regular Mac print menu. Cloud Print for Windows by Software Devices LLC registers your Windows printers as cloud printers in Google Cloud Print. Print jobs sent to those cloud printers are then automatically printed on the corresponding local printers. You can easily submit documents from your PC to any of your cloud printers. WappwolfAutomator is an easy tool that helps you save a lot of time when processing files. It does this by providing powerful automations that you can add to a folder in your favorite cloud storage service. Whenever you add one or more files to that folder, those files will be processed automatically .